The Azores is such a well-kept secret most travel guides on Portugal don’t even cover the archipelago of nine scenic, quiet, agriculturally-based islands where the people are friendly, the prices are reasonable and the roads are uncrowded. 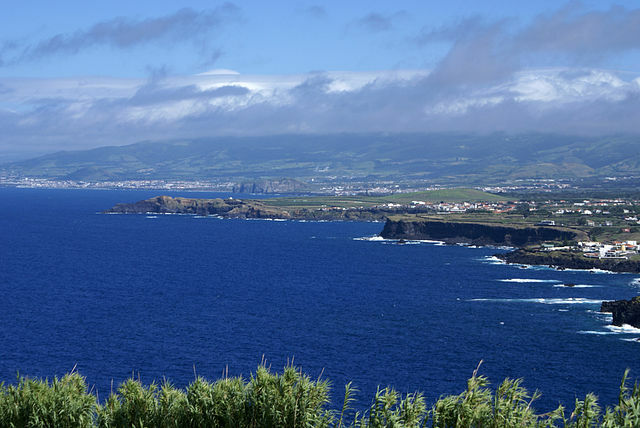 Most who visit the Azores tack a couple of days on San Miguel to a mainland-Portugal trip. But true Azores exploration is a trip unto itself. The islands are widely separated from one another, located about 800 miles west of the mainland. Most of these island feature forested interiors and quiet coastal beaches. Towns are small and quaint, and fishing and farming are the main industries. 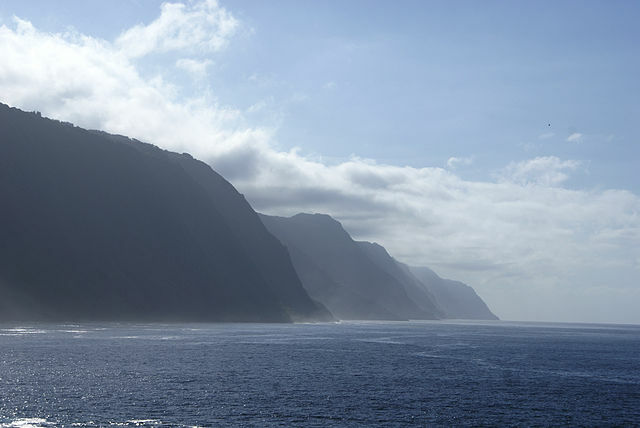 The islands are paradise for hikers and trekkers. Pico was once a major whaling center and now is known for wines, historic villages and handicrafts. 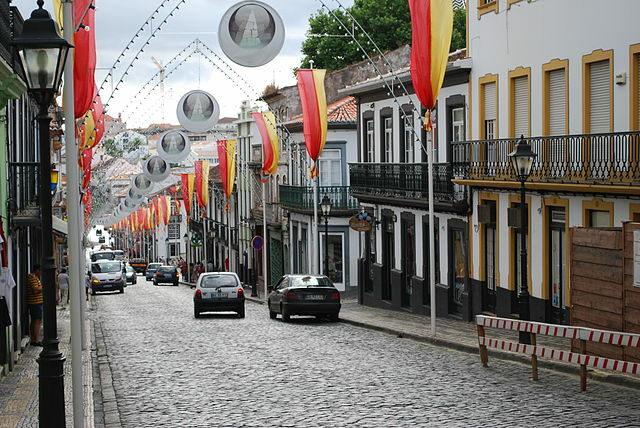 Terceira includes Angra do Heroismo, a UNESCO World Heritage Site dating to the 16th century. Terceira combines golf and other recreational options with history, scenery and an almost uninterrupted string of local festivals. Flores and Corvo offer the ultimate escape from modern life. Expensive restaurants are virtually non-existent in the Azores. Capitolio in Horta (on Faial) is probably the highest-priced eatery in the islands with an average dinner price of E35.00. Most establishments specialize in seafood, and A Avore (Faial), Solar do Conde (Ponta Delgada, Sao Miguel), O Pescador and Marcelino’s Bar (both on Terceira) are notable. This group of nine islands in the middle of the Atlantic Ocean marks the westernmost frontier of Europe. Some say that together they once formed part of the mysterious island of Atlantis. If you`re looking to relax and forget the stresses of your daily life, then the Azores are the place for you. Imagine nine islands where nature has managed to preserve the beauty of its origins, where the climate is mildly temperate, where the predominant colors are relaxing shades of green and where, in spring, the roadsides are lined with blue and white hydrangeas. Certainly you have never before heard of a place where there are lakes that are blue and green, having been formed, according to legend, from the tears shed by a green-eyed prince and a blue-eyed princess on learning that they could never marry. The Azores are also the only place where you can enjoy a traditional dish cooked in iron pans amidst the hot vapors of mineral waters that bubble up from below the ground. Hidden in the depths of the sea is an immense wealth of fauna and flora and (who knows?) perhaps there are treasures of another kind, for these islands marked the intersection of the ancient trade routes followed by ships as they sailed between the Old and New Worlds. Santa Maria Island: Offers excellent water sports facilities. Special mention to: Praia, Santo Espa­rito, Sao Lourenso, Sao Pedro and Vila do Porto, a village with superb manor houses, mother-church and Nossa Senhora dos Anjos Chapel (where Columbus? crew prayed). Sao Miguel Island: The largest of all. In Ponta Delgada, the capital, the famous 18th century portals open up to a number of monuments that are worth visiting, most of them built between the 16th and the 18th century: Carlos Machado Museum and churches of Sao Sebastieo, Sao Pedro, Sao Jose, Colagio and Nossa Senhora da Conceiro; convent and chapel of Nossa Senhora da Esperansa and Santa Ana Chapel. Palaces: Fonte Bela and Santa Ana; Conceiao and Santa Catarina; Casa de Carlos Biudo and the Pasos do Concelho. Other places to visit: Caldeira das Sete Cidades (green and blue lakes); Lagoa do Fogo; Ribeira Grande; Vale das Furnas (spas and hot mineral pools) and Vila Franca do Campo. Terceira Island: The historic center of its capital, Angra do HeroÃ­smo, has been classified in UNESCO?s International Heritage list. Special reference to the forts of Sao Sebastieo and SaoJoao Baptista (16th-17th-centuries); the palaces of the Bettencourts (Baroque) and of the Capitaes-Generais; the Cathedral, with its silver altar front and treasure; the churches of Colagio dos Jesustas, Sao Gonsalo and Nossa Senhora da Conceigeo (17th-century); the churches of Misericerdia and Nossa Senhora da Guia (18th-century, the latter encloses the Angra Museum). Other points of interest: Praia da Vitaria, Santa Barbara, Sao Sebastio and Vila Nova. Graciosa Island: In Santa Cruz da Graciosa you will find ancient streets and manor-houses, a beautiful mother-church (16th-18th centuries), Santo Cristo Church (16th century), Cruz da Barra (Manueline) and Ethnographic House. In the Furna do Enxofre, dazzling sights and a vaulted cave over an underground lake (between 11am and 2pm the sunlight filters in). You must also visit Guadalupe and its Baroque church, Luz and Praia (typical windmills). 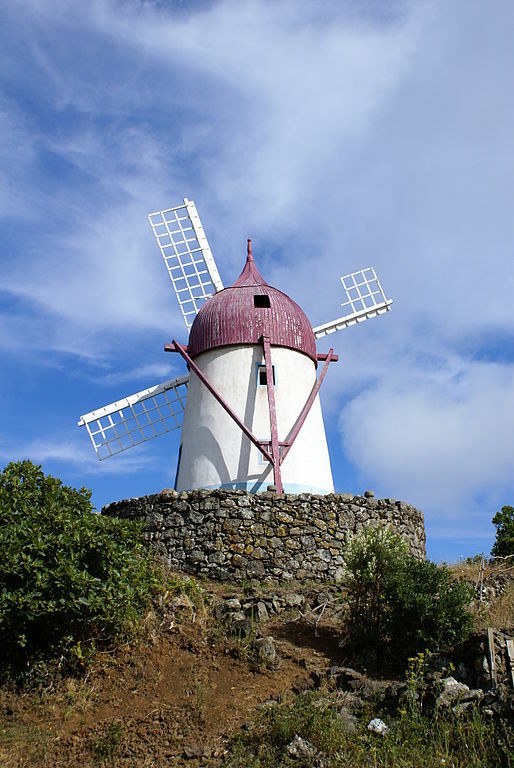 Faial lsland: In Horta, a famous yacht harbor, look at the beautiful tiles and gilded carvings in the 17th and 18th century churches of Sao Salvador, Nossa Senhora do Carmo and Sao Francisco. To visit: Sacred Art Museum, Nossa Senhora das Angastias Church, Nossa Senhora do Pilar Chapel, Impario dos Nobres and Porto Pim fortifications, Caldeira Natural Reserve, Capelinhos, grottoes and caves in Costa da Feteira and Monte da Guia belvedere. 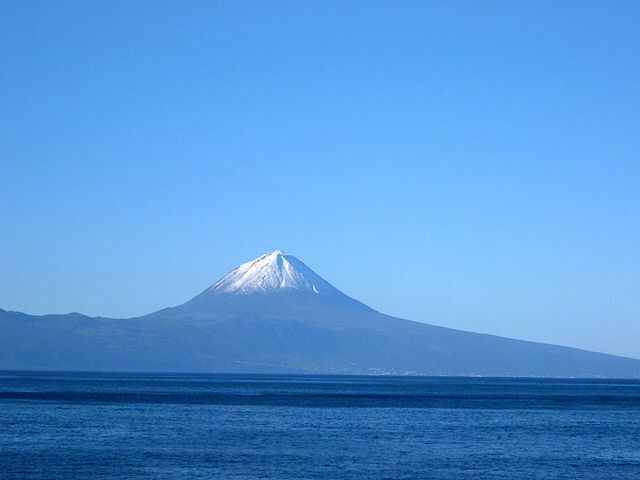 Pico Island: Owes its name to the 2351 m high volcanic cone. 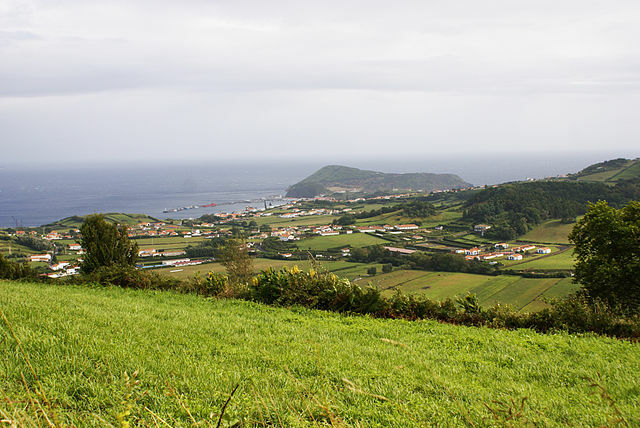 Special reference to Sao Roque do Pico, with its 18th century churches of Sao Roque and Sao Pedro de Alcntara; Lajes do Pico, with its Whale Museum; Madalena, with its Wine Museum and 17th-century church, and Areia Larga, with beautiful winegrowers? manor houses. Other places: Calheta de Nesquim, Candeleria, Criaeo Velha, Piedade (forest preserve), Prainha do Norte, Santa Luzia, Santo Amaro, Sao Caetano, Sao Joeo and Sao Mateus. 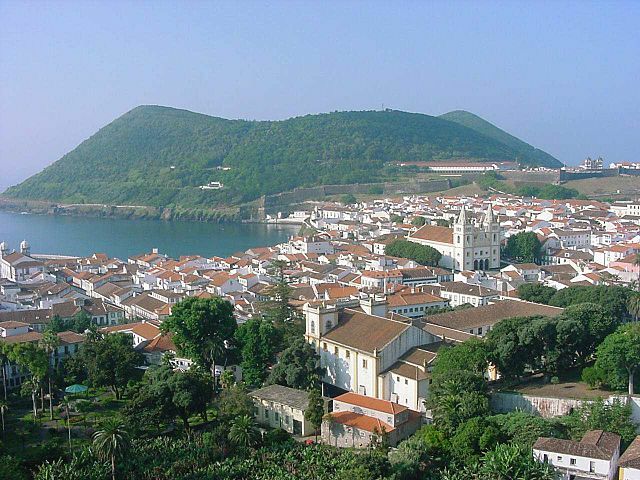 Sao Jorge Island: Velas, with its fishing port, is the main town. One can admire its manor houses, the churches of Sao Jorge (17th century), and Nossa Senhora da Conceigeo, Town Hall (Azorian Baroque) and 18th century walls. Do not miss Calheta, Manadas, Ribeira Seca, Topo and Urzelina. Flores Island: In Santa Cruz, you will find manors, the churches of Sao Boaventura (Baroque) and Nossa Senhora da Conceirgo (19th century) and the Ethnographic Museum. Trips to Ribeira Grande Waterfall, to the Gruta dos Enxaraus (by boat) and to Lagoas (seven lakes surrounded by flowers). Corvo Island: The smallest of all and a peaceful sanctuary. In Vila Nova do Corvo, narrow cobblestoned streets and the Church of Nossa Senhora dos Milagres. In Caldeirio (enormous volcanic crater),there are two lakes with nine small islands, just like the archipelago.